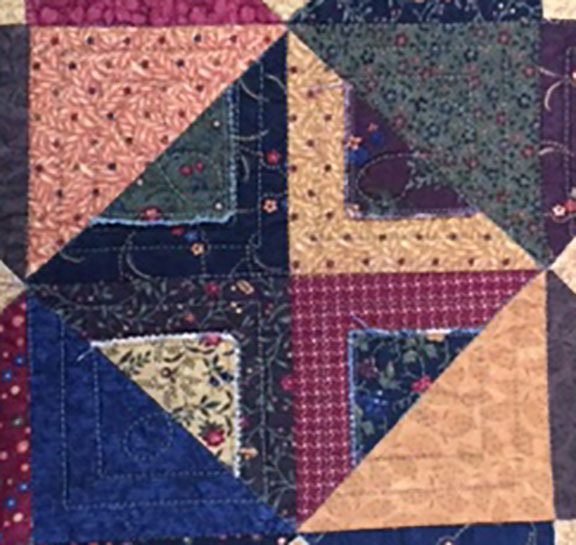 The layered patchwork technique is nice. 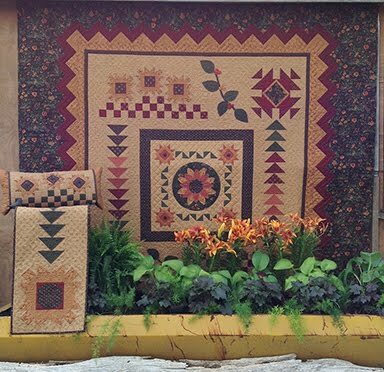 I can't wait to see what the whole quilt will look like when washed a few times. So fun seeing this all come together. I could use more reds in my stash! 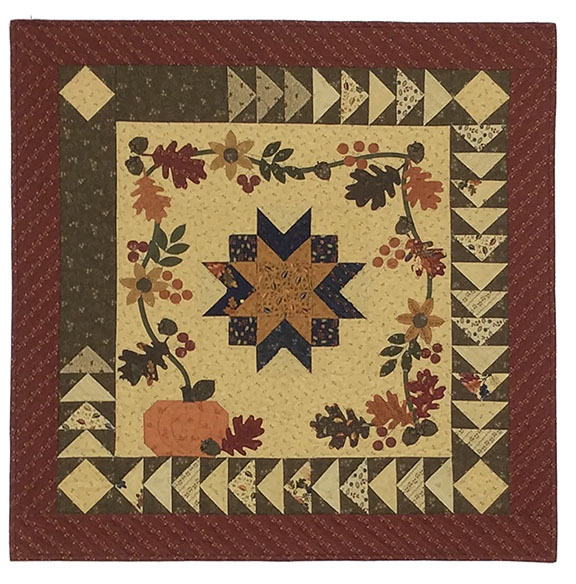 Thank you for including directions for using the Layered Patchwork method for Block 2 Aunt Dinah! I hope you continue with all the blocks. This method is FANTASTIC! I haven't tried your topstitch method yet, but thank you for all of the additional information and encouragement! I do pre-wash. I've been quilting for well over 50 years and it has just become a habit. I was very sensitive to early sizings in fabrics so I had to pre-wash. I do a lot of hand applique and I prefer the fabric to be softer. Can't wait to begin block 2! Block 1 went together like a dream. 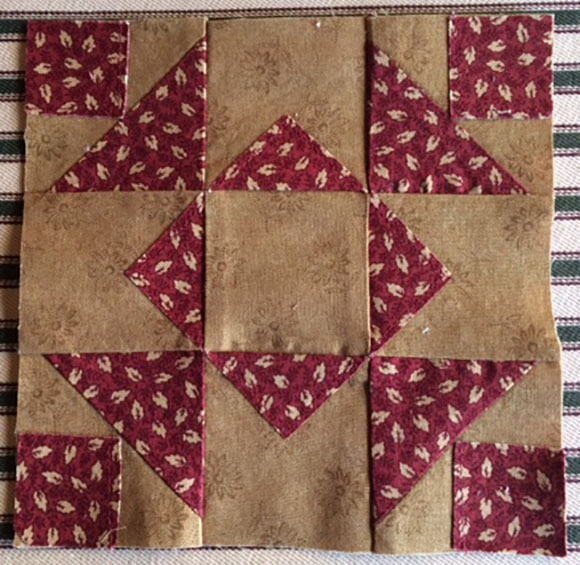 I was surprised, I always said I don't like samplers because you have to cut different for each block but I really liked how quick it was to cut and sew up #1. Looking forward to getting #2 done. Thanks for the layered directions. I usually don't pre-wash, because I like to use the pre-cuts. The layered method looks really intriguing -- thanks for sharing the additional information! 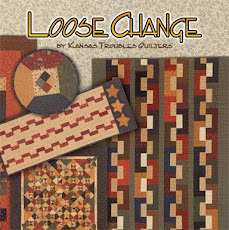 I love sampler quilts, and love these blocks... thanks so much! Thank you for your layer instructions for block two. I am making two blocks using both sets of instructions. I am enjoying learning a new way to "piece" . Thanks for a chance at your reds. Fantastic job Kathy L. Red ??? 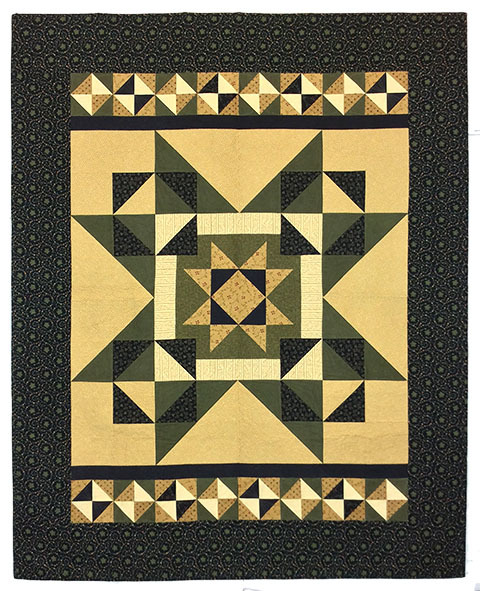 One of my favorite colors to use in a quilt. It goes with almost every color there is. Formerly,I pre-washed everything but have gotten away from it. I agree that any shrinkage except maybe in flannels is minimal. 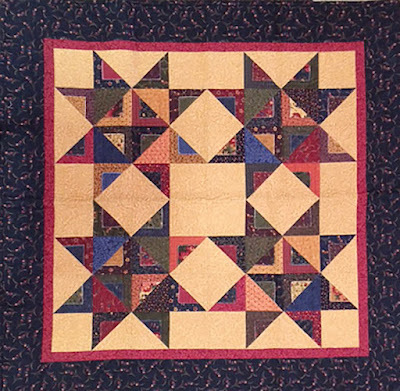 I use color catchers when I wash the quilt and have avoided problems with extra dye. I do like to pre-wash my fabric. But sometimes it isn't practical. Reds, however, always are pre-washed. I have not tried your layered method yet. Are the layered pieces cut to the finished size or the same size as the pieced block would be? I haven't started the Block Heads project yet. 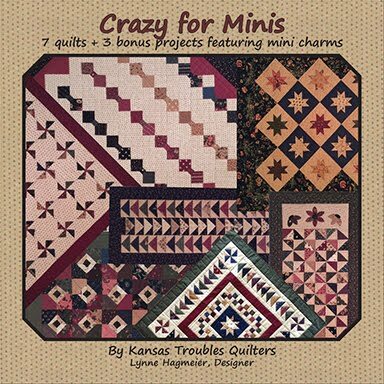 There is a quilt that has a deadline that has to be finished first! Your explanation of how to do the block in your layer method is appreciated--I know that takes a bite out of your precious limited time. Love these blocks! So pretty! Choosing my fabrics today to get started. 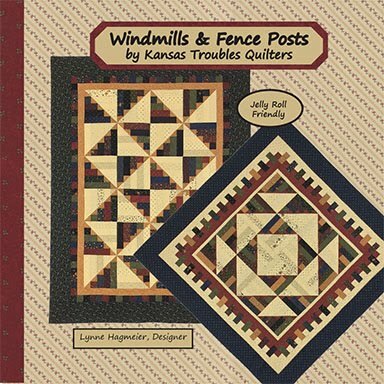 Would love some red fabrics-thanks for a chance. Your block turned out great! I don't prewash my fabrics anymore because I just buy good quality fabrics (like Moda) now and there the shrinking is minimal. 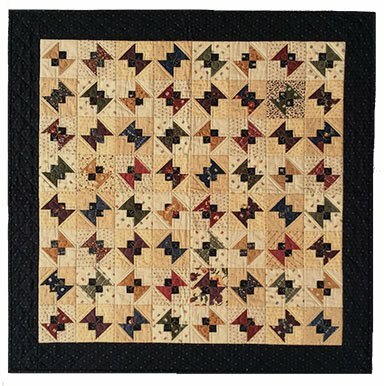 And if I wash my quilt for the first time I'm throwing some color catcher in with it and they normally work should a fabric bleed a bit. 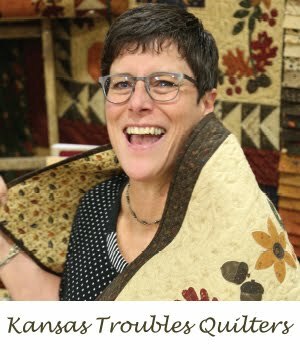 I used to prewash my fabric until I heard a Kaye England speak at a quilt guild meeting and she told us she never prewashes her fabric. She said as long as you buy good fabric, you don't need to prewash it so I stopped prewashing and have never had a problem. I don't prewash my fabric as I like having the sizing on the fabric. I got hooked on your method with the oak hill book. What a time saver and I get to use more fabric. Life is good. I love the block done in just the two colors, tan and red. I'm still trying to decide on my fabrics. Need to get with it! Fell in love with the KT method when you join us for a workshop in Jacksonville Fl. We used Paisley Park as our foundation for projects. Please provide some additional hints about construction of block with your method. 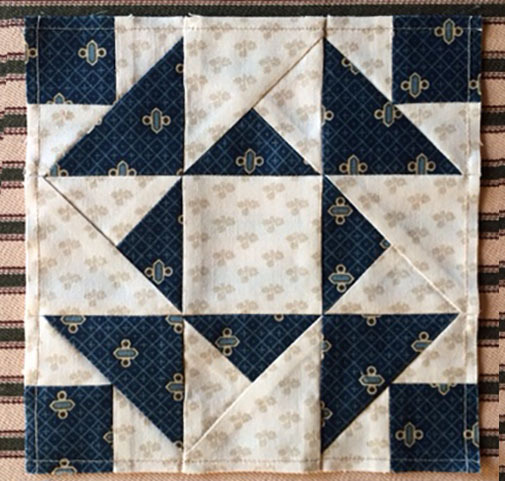 For the four segments that form a cross in the middle of the block, have you just a square and added the quarter segment of triangle with top stitching? (can't quite see from enlarged photo). Thanks. Yes, you're correct. Please click on the link for complete instructions. So glad you enjoyed the workshop. You were a fun bunch of ladies. #4)you mentioned it just makes sense to sew the half square triangles traditionally. I do not have that that inner knowledge yet regarding your LP. So how would I know when to not sew LP? And I couldn't enlarge my screen enough to see if Joys seams were traditional or LP, though your description helps. On your backside, when do you decide to spin the seam? 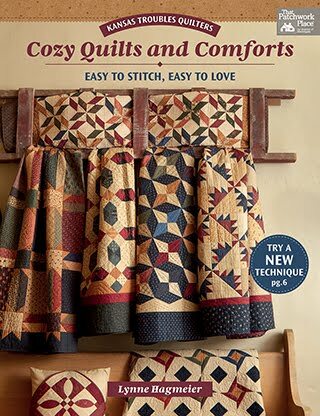 I haven't tried your layered patchwork yet, but when it saves that many seams I think I'll have to give it a go. Wow! 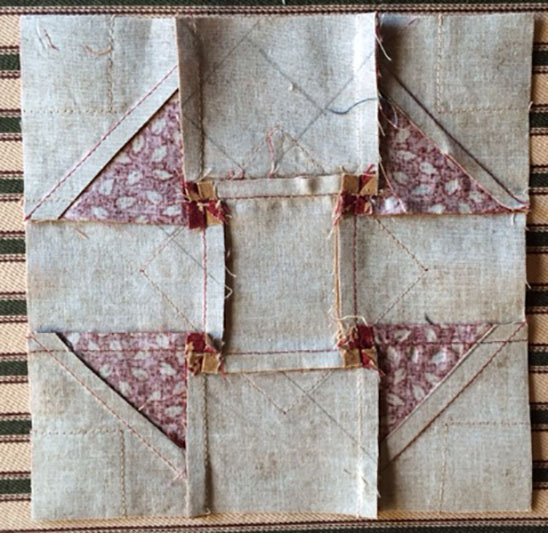 Showing the back of the blocks really lets us see the difference the layered patchwork method makes!! I'm a pre-washer, except for the smaller precuts. Since I don't limit myself to one fabric manufacturer, I like to create an "even playing field" with my fabrics. Thanks. I do not prewash most fabrics, unless sewing with a lot of reds, as they tend to bleed. 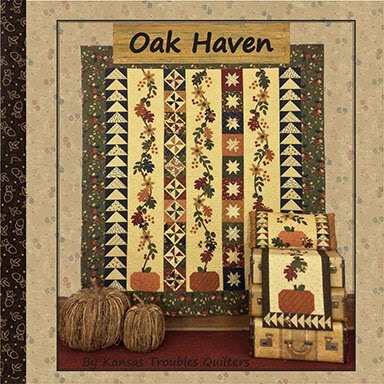 I love your method and I am working on the oak haven runner for my table. I can't wait to see it finished. Using your layered technique for all the blocks so thanks for all your tips !!! Where do you get your color inspirations. 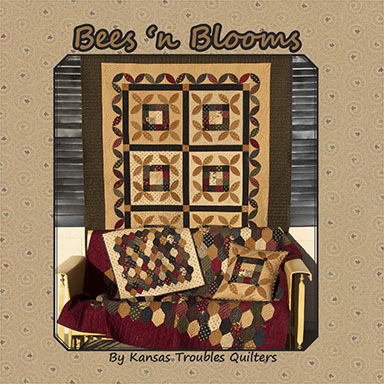 Luv your new ideas for older blocks. yep who doesn't love the dark reds! I don't prewash, I usually get 1/4 yard and they twist and ravel and then I have a mess. AND I like to get right to cutting when I get the fabric out who has time and patience to wash? Answer-Not me! Oh yes--I could use more reds since I seem to only buy blues when I'm out and about! If I was just starting out I would probably prewash, but the thought of dragging all of my fabric out to wash, iron , and refold seems overwhelming to me! lol and if I start now I'm afraid that I will mix some that have and some that have not been washed and end up with some distortion that way. Anyone else worry about that? Oooh, reds! My favorite! I started out prewashing. Now I usually only do reds, darker blues and purples and blacks. In my experience, the dark blues run more than the reds. Older fabric, yard sale/thrift fabric always. I like how Joy popped open the seam to make that tiny 4 patch on the back of her block which makes the block lie flatter. As for prewashing, I do wash yardage, but not precuts. 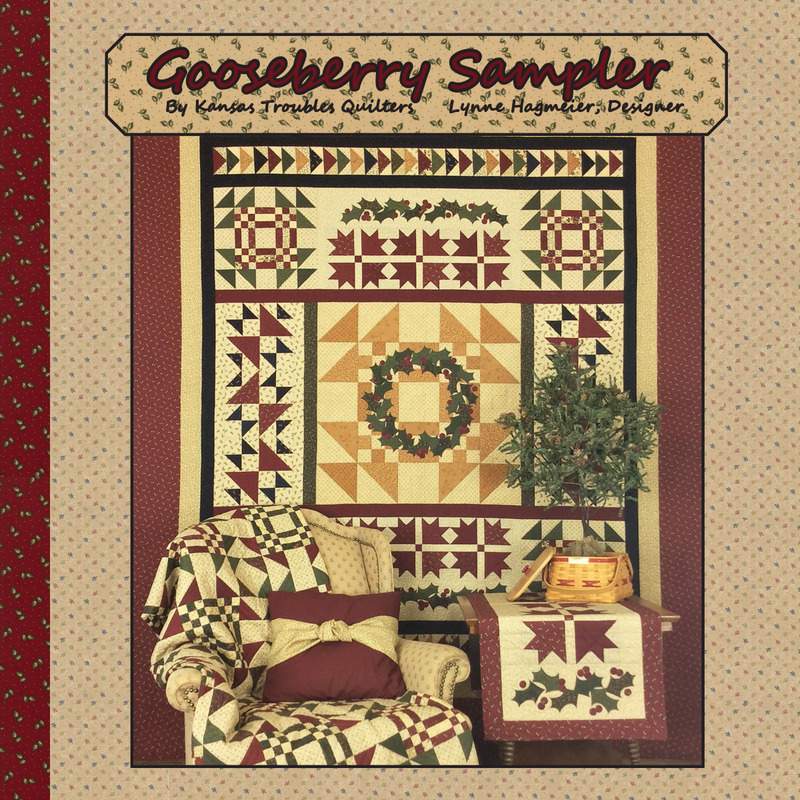 Thanks for the chance to win some of your beautiful fabric! I use to prewash all of my fabrics, but now I just prewash colors that I think might be a problem. Like some reds or blues. 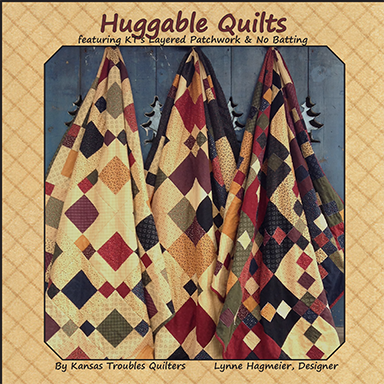 I love your method of doing patchwork. I always prewash my fabric (I have had some serious shrinkage catastrophies!) Thanks! We believe pre-washing is a personal preference. There is no wrong answer; do what you think is best and experience will also teach you a lot. Thank you for another great week! Deep dark reds are my favorite! I don't like to prewash my fabric either...I like the body the sizing gives it and think it helps with accuracy. block number 1 was a fun block, now on to get the #2 done. I've seen many block pictures and love all color ways. Some more than the others, wish I would have picked different for my first block. Thanks I never pre-wash my fabrics. If you do not prewash do the colors run on your projects? I always worry about that! Love the blocks! 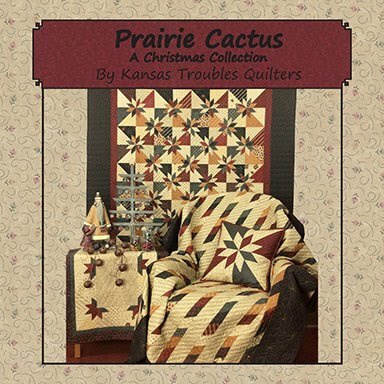 I must admit, when I had to buy Husker fabric at Jo-Anns for my grandson's quilt, I did prewash. The reds & blacks ran terribly. With Moda's great quality fabric, there's no need. Pretty blocks. I do not prewash any of my fabrics. I never pre-wash my fabrics. 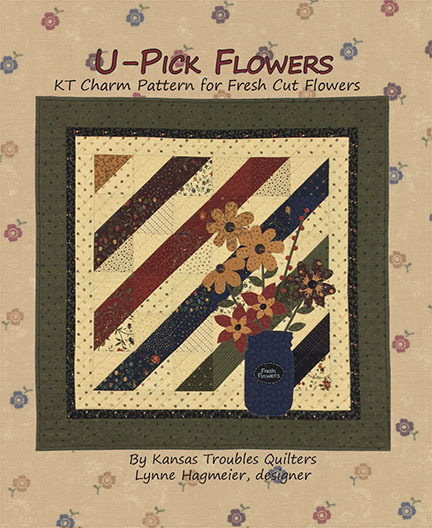 Thank you for teaching us the KT layered patchwork way, loving it! Prewash?....there isn't enough time! Thanks for your layered patchwork tips! Lynne, I love that you aren't a prewash kinda gal! 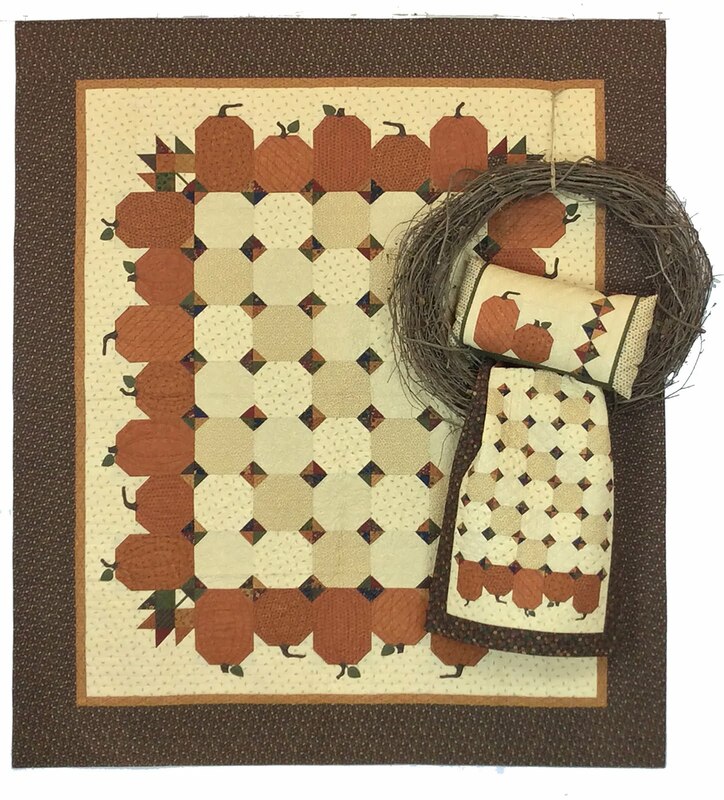 And I want to thank you for step-by-step details on your layered patchwork technique! I'd like to ask what is your preferred type/brand of batting? 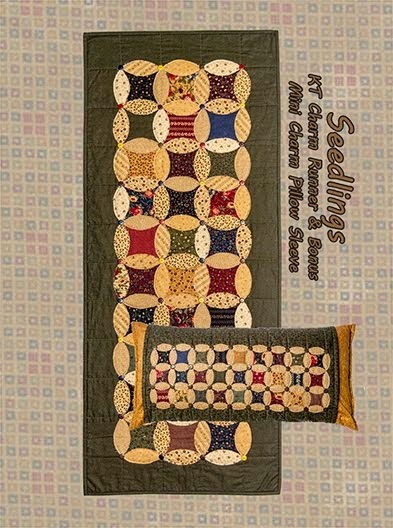 Also, when you baste your quilts, do you pin or do you use a basting glue, etc.? I've only ever pinned, but am looking for time-saving tips! Thank you! I really like Hobbs Organic Cotton or 80/20 Cotton batting. 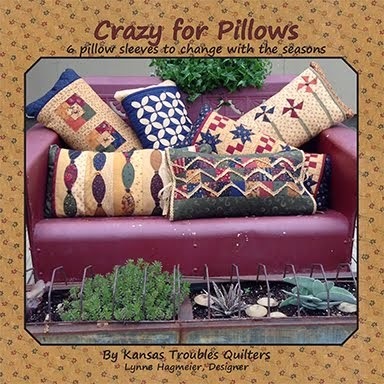 It's more huggable and soft than a batt with more polyester. 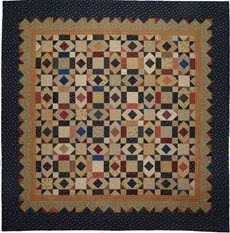 As for basting, I spray baste small projects when I quilt, but send most of my quilts out to be machine quilted. I have stopped precasting my fabrics because of all the precut I have. 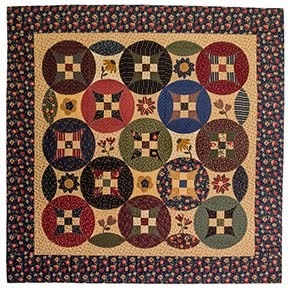 I must say I do hold my breath when I wash a finished Quilt though. 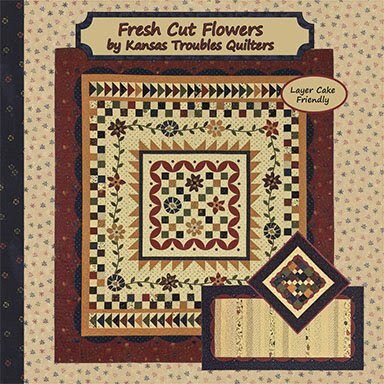 I am new to quilting and not confident I am doing this right. I am attachint 1 7/8" side of a triangle to a 1 1/2 inch square. Where do I match up? 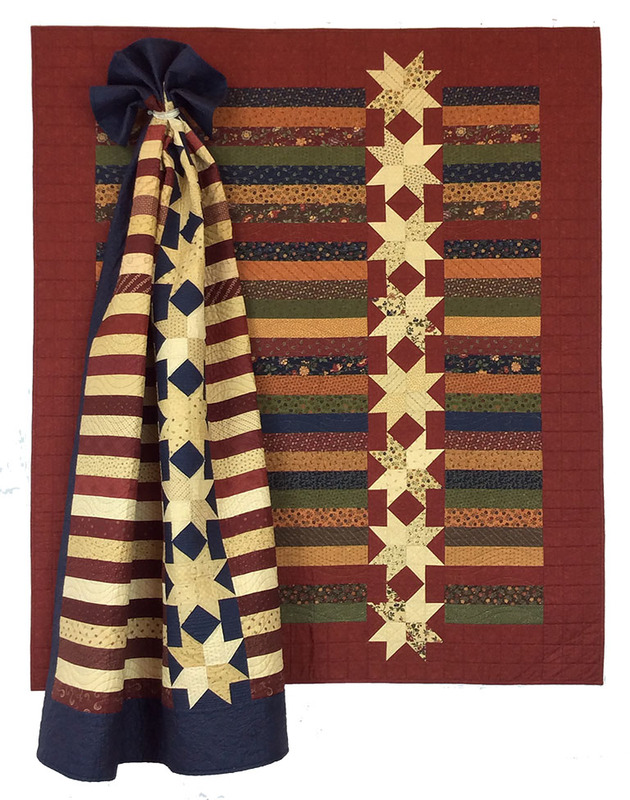 I am enjoying the BOW and love the layered patchwork instructions. Love the texture and dimension! I have a stash of KT fabrics but could always use a little more red! 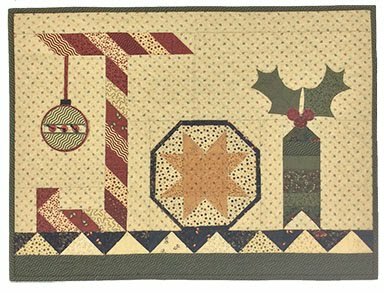 are you going to print instrtuctions for your layered patchwork? 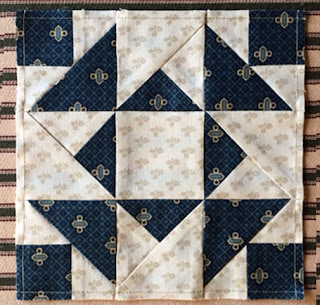 are the block sizes the same as the traditional for cutting? 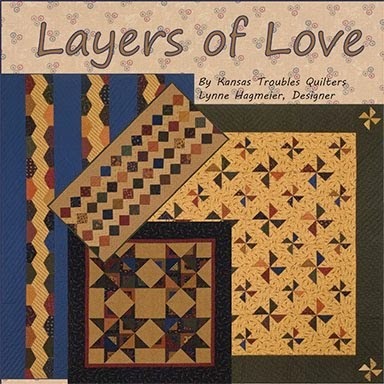 I guess I would like more help and would like to make your layered patchwork for all the blocks. 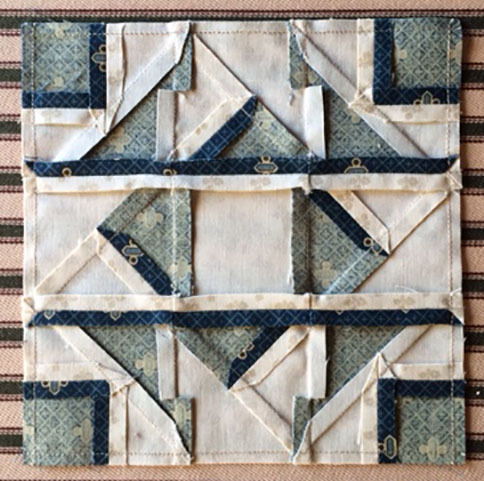 Learning to quilt over 15 years ago, my instructor said never to iron the seams flat as that weakened the seams in a quilt. Now I see instructions/quilters say to iron the seams flat to prevent bulk. What is your opinion on ironing seams flat? Thank you for the block of the week. I am enjoying the blocks and look forward seeing the variety of blocks people post each week.